In many ways I've modeled my dissertation after this book. It's contemporary economic sociology at its best, I think. This is a wonderfully informative book on the history and sociology of financial theory. The author shows a great command of the subject matter, which I found impressive as he is a sociologist by training. The big idea of this book is that the models that financial theorists introduce to their MBA students (Black-Scholes, CAPM, etc.) end up impacting the prices of the very securities that they are supposed to value. In this way, finance practitioners mistake these models as being a "camera" that is used to mistakenly assess the world than an "engine" used to understand how markets operate. MBAs then use the snapshots from this "camera" in order to force prices of different securities in line with what the models suggest they should be. This can result in systemic mis-pricings and other problems. MacKenzie does an impressive job of teasing out the implications of this through extensive research and interviews with academics and practitioners. The book reminded me of an updated version of Bernstein's "Capital Ideas," a history of financial theory that came out some time in the 80's. 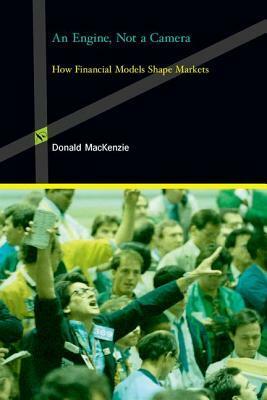 MacKenzie is more academic and draws more heavily on sociological theory, but it makes the text no less readable, in my opinion.Strongly recommended for anyone interested in finance.